This early spring picked green beeng cha with shinny luster and strong scent. It's liquor looks bright yellow, taste refreshing and sweet in aftertaste. 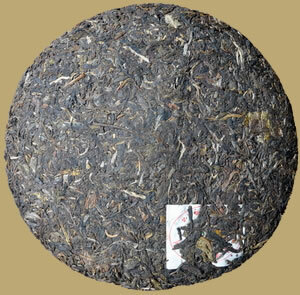 Like all raw pu-erh can be drank now and enjoyed by those who appreciate the fresh, bitter, and sweet tastes experienced throughout 10-20 infusions, or put away for further aging.